Ryan Seacrest's new girlfriend, Shayna Terese Taylor, has landed a two-year contract with Wilhelmina Models. 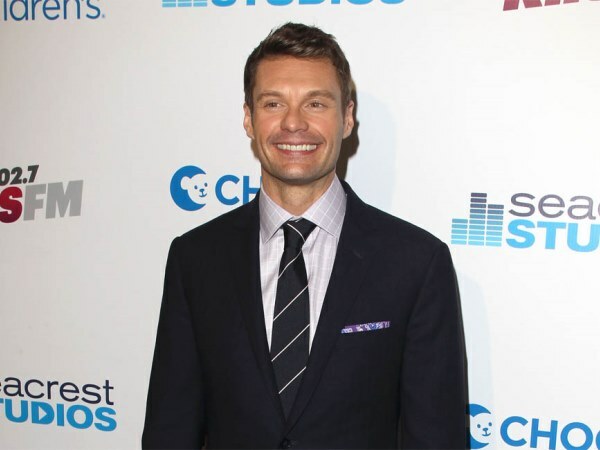 Ryan Seacrest's new girlfriend has landed a modelling contract. Shayna Terese Taylor (24) has been snapped up by Wilhelmina Models shortly after she was photographed on holiday with the American Idol host and his parents in Uruguay and Argentina late last month. A spokesperson for the world-famous agency told gossip website TMZ.com Shayna recently signed a two-year contract and they believe the personal trainer has "huge potential in the fitness and lifestyle world". Ryan (38), who was linked to South African Sports Illustrated model Dominique Piek earlier this year, appears to be equally enamoured with the blonde beauty as he whisked her off on a Thanksgiving trip to South America with his family last month, where they were spotted being quite affectionate. An eyewitness, who saw them at a restaurant, previously said, "They were obviously together, and the girl was clearly into Ryan. She was all over him, holding his back and his hand while he talked to the others. And he seemed to be loving the PDA." Ryan split from Safe Haven actress Julianne Hough (25) in April after three years of dating. The former couple are believed to have split because he didn't want to get married and take their relationship to the next level.